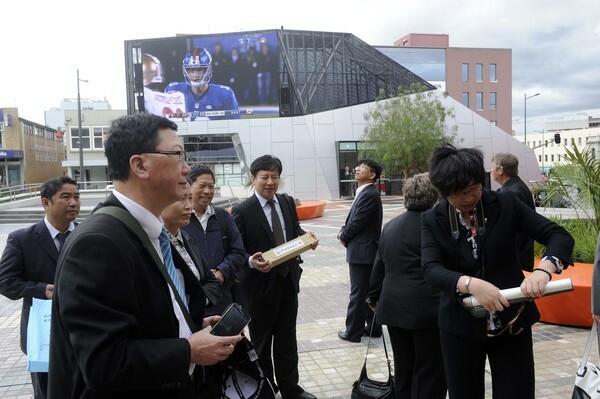 CHINESE delegates from Greater Dandenong’s sister city have toured the municipality. The group from Xuzhou visited Harmony Square on Monday 12 October and learnt about the Revitalising Central Dandenong project. Greater Dandenong business group manager Paul Kearsley will take about five businesses to China on 20 October. Xuzhou and nearby Nanjing – both in Victoria’s sister state Jiangsu – are their main destinations to network with businesses. Greater Dandenong Mayor Sean O’Reilly, councillor Angela Long and her husband Barry will join the delegation in Xuzhou. Mr Kearsley will also take a couple of businesses back to Shanghai. “It just continues to build on that understanding and relationship between Xuzhou and Greater Dandenong,” he said.